We are so inundated today by the noise around us that we sometimes fall into a comfort zone that lulls us to sleep. We can’t take things anymore and feel bombarded by emails, texts, twitter, etc… How do we find the time to take care of ourselves? We don’t want to rock the boat or take actions that might change our lives or look at our patterns because if we did take a pause and reflect, we might figure out what we truly want,so we stick to these familiar patterns and can’t move forward. Or sometimes we might lack the self-compassion tot respect our inner voice that speaks to us to help us hear those messages. In my experience, the longer we wait to respect ourselves and act, the harder the fall. So how do we begin to wake up and figure out what we need? 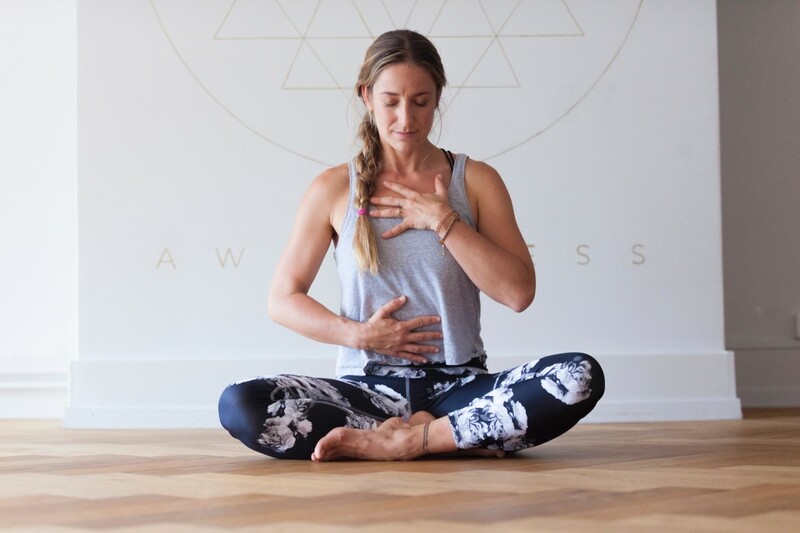 Many of my clients ask, “How do I do that?” We begin by connecting with our bodies. Both Buddhist and Western Psychology traditions agree that our bodies are the conduit to life energy. Our physical selves are like an electrical socket. To receive the benefit of that power, to truly become conscious, we must plug in and stay in touch with the body. There are barriers in our ability to connect with our bodies. More than any time in human history, we are experiencing a confusion and disconnection that comes with being inundated by the noise within us and all around us. These disruptions cause our minds to constantly chatter and throw us into worry about the future or the past. The phrase “ lost in thought” is not only universal, it pervades our long days and nights. It sets us up for that unexpected event, the major jolt that head-butts us into wakefulness. Doesn’t it make more sense to be present every moment? Stuff comes up, things will happen for sure. But to be blind-sided by fate is the all too common way we are forced into consciousness. Let’s not wait. Let’s get out of our Me, Me, Me head trip and become grounded in our bodies and pay attention to the sensations we are feeling and listen to those messages. Lets also remember we are human, and at times, we may not be present, so don’t berate yourself! It happens to all of us. Be kind to yourself and then begin again. If we don’t wake up, then we miss the small but significant joys and sorrows of life- making love, gardening, seeing the smile on our children’s faces, spending quality time with family and friends, walking in nature, cuddling with our loved ones (including our cuddly pets! ), because we are distracted by the noise and acceleration of modern living. It’s confusing and at times frustrating. We are always stimulated but at times numb and not necessarily thoughtful about our choices. Our minds are full of chatter, and meanwhile, our bodies may be sending us an important message. Waking up is not a singular event. You don’t cross a finish line and raise your arms in triumph. We must learn to remain wakeful throughout the trials and tribulations of life. It’s an everyday thing not a trophy. Even when we suffer hardship and pain, we must be awake. The gratitude for each waking day. My personal experience and the time I have spent over all the years with my clients have proved to me that being awake and in tune with the physical world is about our values. Just as we choose the material things we want to place in our homes or offer as gifts on special occasions, we must be aware of the values that guide us. My own wake-up calls and the events my clients have faced cause me to question what I deeply value. What in the core of my heart do I wish for myself, my friends, and family? My answers are relatively simple, yet have helped me and others dissipate the fog that so often prevents us all from connecting to our personal values, to other people, and the world around us. We have one choice. Either we wake up and remain conscious; or continue to live autopilot, ignoring the whispering voices and sacrificing our change to have a fully realized life. This is important because life goes by so quickly . Not everything comes up roses. Some things are meant to be challenging so that we can learn from them, and these tough times can enrich us if we are mindful of their impact. Good or bad, special moments demand that we learn and pay attention to our values. That’s why at the beginning of each day I ask myself, what are your intentions for today? At the end of each day I ask myself , did you live your best intentions? If my answer is yes, I know I remained alert throughout the day, and therefore, lived with purpose. An Introduction & Invitation: Wake Up Before Your Wake Up Call Choose Now—Always!